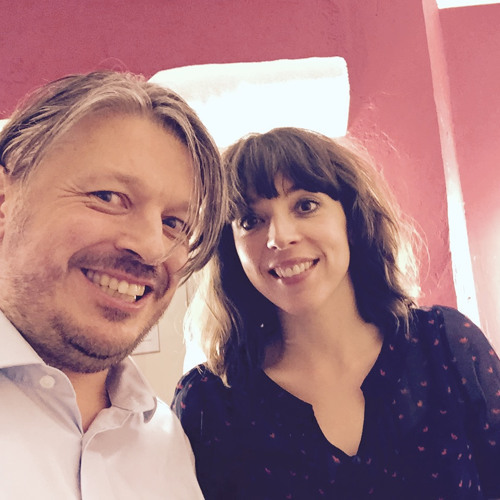 RHLSTP #76: Bridget Christie – No Man Is Faster Than a Cheese. Richard has just had his third sixteenth birthday and has returned from Amsterdam with a hangover that might just last two weeks. His guest is former milk-maid, fellow West Country cheese enthusiast and Russell Brand lookalike, Bridget Christie. They discuss webbed toes, being the responsible one in a gang of Hell’s Angels, John Inverdale’s slip of the tongue, the deferred creative revenge on the tedious admin of life and who of the two of them is a more realistic representation for the hopes and dreams of new comedians. Plus a proper serious chat about feminism. Also ghosts that eat crisps and a disembodied hand that Richard somehow failed to equate to the time travelling finger or the ham hand, so seriously was he taking this as a proper interview.